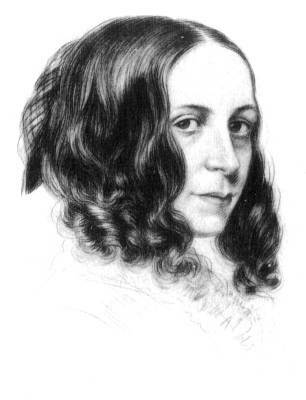 Flush is the fictionalized biography of Elizabeth Barrett Browning’s Cocker Spaniel. Barrett Browning lived as a recluse until eloping with her husband, Robert Browning, to Italy. Thus, Flush was her one true companion for many years. As anyone with a dog can imagine, Flush was her closest confidante, and although their relationship had different meanings at different times, Flush was constantly by her side. I have long been a fan of Barrett Browning. As cliche as it sounds, Sonnet 43, from Sonnets of the Portuguese is one of my all time favorite poems; one of the few I have committed to memory, so that was one of the reasons I chose this book to start with. I wouldn’t consider it an in depth look into Barrett Browning’s life, but it gives a good idea of how she lived and, even more so, the environment in which she lived. That aspect was just as intriguing to me as the life of Flush himself. Woolf’s canon. In fact, critics generally did not have a favorable view of Flush, and many reviews were disparaging. However, in reading Flush, it becomes apparent that there are many more underlying issues and it is not just a novel about a dog. Woolf might have disguised her feminist concerns in Flush, but even at first publication they did not entirely escape feminist critics . . . Critics like Rose Macauley saw the obvious parallels between mistress and dog, between Elizabeth Barrett’s imprisonment on Wimpole Street and Flush’s in Whitechapel. I admit (*gasp*) that I have never read anything by Woolf prior to this. 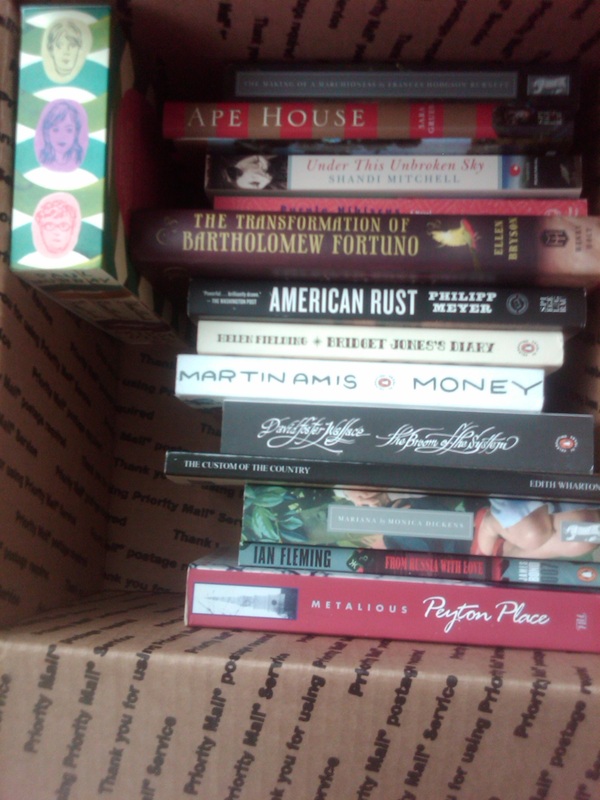 As an English major, I feel a deep embarrassment about such a gap in my reading, so I am happy to have remedied it. I’ll be honest–while I loved this book, I doubt I will be reading more Woolf anytime soon. I don’t expect that I will enjoy her other books nearly as much, especially considering that I very rarely appreciate books written in a stream of consciousness style. What do you think–am I making a mistake? 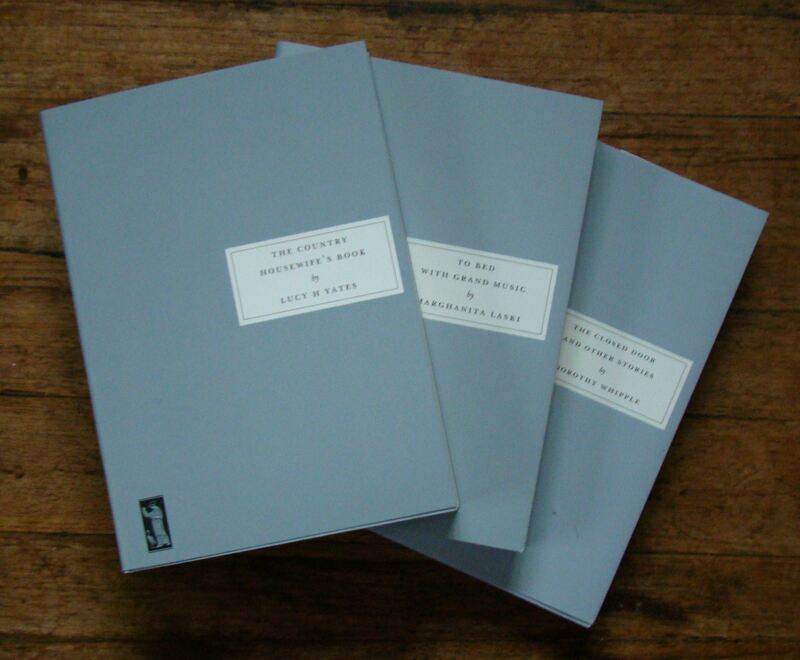 Are there other Woolf books that I simply must read? 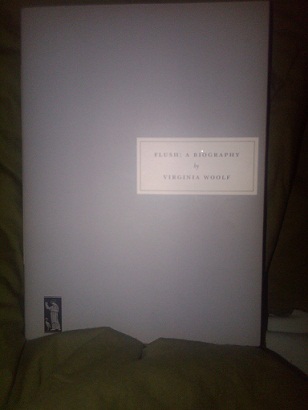 I purchased this book from Persephone Books. Evangeline Knapp is your typical housewife of the 1920s. She has three young children that she cares for, while also keeping the house spotless and the meals on the table. The biggest difference is that she is not happy. She doesn’t have to say it; her frustration is practically tangible, and the effect that it has on her family is stultifying. Her husband Lester is a bookkeeper for a local department store and loathes his job. Evangeline’s three children are scared of her, with the youngest, Stephen, constantly acting out. It seems as if the Knapp family is at a dead end, with happiness a faraway dream. This all changes when a horrible accident takes place and forces Evangeline out into the world. While it seems awful at first, Evangeline is able to discover her real self. Her once stifled family is also able to blossoms and grow. The standard gender roles of the 1920s are carefully examined and and dissected. Given the social climate when The Home-Maker was published in 1924, it is a very courageous topic for a book to deal with. 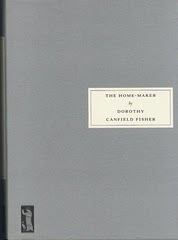 I think The Home-Maker is still very relevant today, as many people feel forced into gender roles, including mothers. Many women choose to work after having children, even if they have the means to stay home and care for the house and kids. The stigma associated with women who choose to work is unfounded and unfortunate. So while we, as women, are lucky that we have the option to stay home or to work, I still think that there is room to grow. I am glad that I was able to finally read my first Persephone, and I am happy to say that my collection is growing! Ahhhh . . . another Sunday. I felt like this week went SUPER quickly, which was surprising, given that going back to work after the holidays is usually brutal. 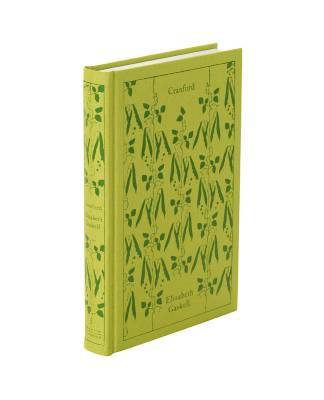 I read one book this week, but it was a good one–Cranford, by Elizabeth Gaskell. I actually really liked it and the edition I read had very helpful endnotes and a glossary. I have been really yearning for classics right now, so Cranford really hit the spot. I think part of the reason is because I am completely obsessed right now with collecting both Persephones and Penguin’s clothbound classics. Of the latter, I only have one. Yes, you guessed it–Cranford! The only place where I have seen them is at Anthropologie, but they are also available on Penguin’s website. I love having nice editions of old classics, and these have embossed linen covers. I don’t know when I will be able to purchase more, but hopefully soon! Obviously Persephone was something I learned about through other blogs. 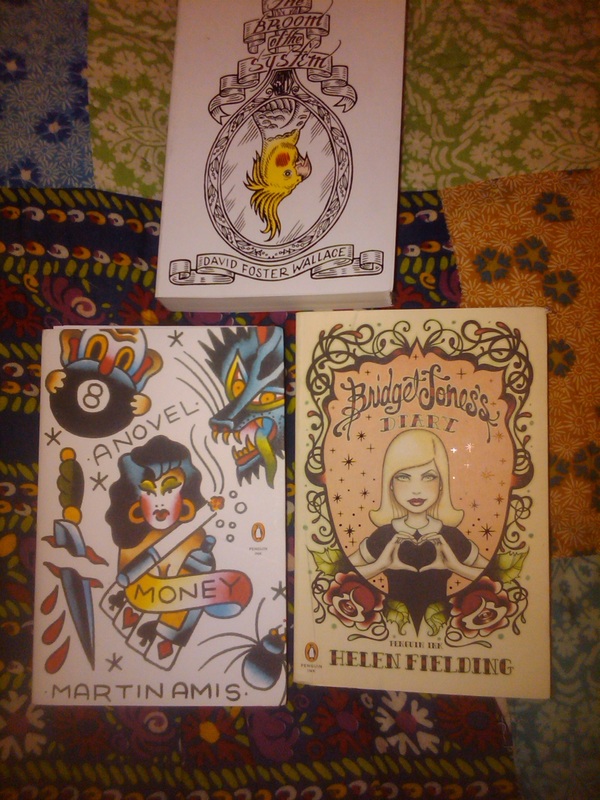 I now have four of the Persephone classics (with one on the way). My mom bought all but the Laski one for me (isn’t she so nice?!). Apparently the woman who owns the knitting store she frequents is from England and she sells the Persephone classics in her shop. She told my mom the other day that she has quite a respectable collection of the regular Persephones at home, of which I have ordered four but who knows when they will make their way here from across the sea. In fact, I have absolutely no idea what I ordered, although I know there was another Dorothy Whipple in there! So anyway, that’s enough rambling for one day. I have pretty much gotten all my household chores done, and although I have some laundry to occupy me, I am hoping to spend the rest of the night reading! I hope everyone else has had a nice Sunday so far!